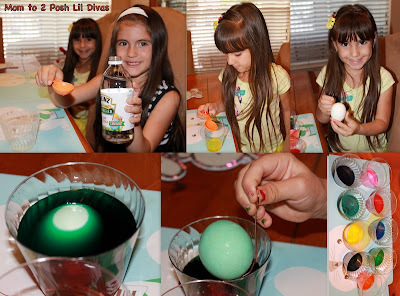 I have been using PAAS kits to dye Easter eggs for as long as I can remember (they have been around for over 125 years!). Growing up it was always our go to brand and I have so many fond memories of dying Easter eggs with PAAS. I can't recall one Easter where we didn't decorate our eggs with PAAS and Heinz Vinegar which always gives the egg such vibrant color! Of course, I have to continue the tradition with my own Lil Divas. PAAS & Heinz sent us a Classic Easter Egg Decorating Kit and a bottle of vinegar to start off our fun. The Lil Divas couldn't wait to get started. What I love about PAAS kits is that they are super easy to use. They give you easy to understand directions to achieve the look you want. The Lil Divas helped throughout the entire process and actually did most of it on their own - that's how easy it is! We did a few basic colored eggs then the Lil Divas used the "Magic Crayon" to draw secret pictures on a few eggs. It was fun to see what they had done after placing the eggs into some dye. Our tape resist eggs came out great! 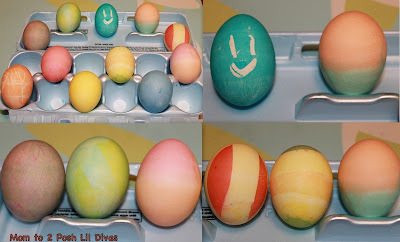 The Oldest Diva wrapped some tape onto a few eggs in varying designs then dipped the eggs into the dye. The result was some pretty cool patterned Easter eggs! Here are a few of our finished eggs! Of course the Littlest Diva adored being able to adorn them with stickers. Everything is better with stickers! PAAS has so many fun kits available - stickers, glitter, special characters and more. It is so exciting that now I get to do it all with my own girls. They adore dying and decorating Easter eggs. We end up doing many different types of eggs. Yet, they always seem to want to make more. 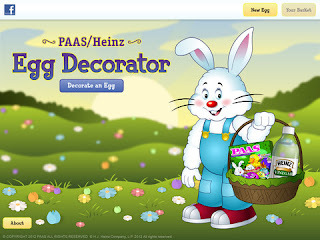 That's why I was so excited to find out about the PAAS/Heinz iPad Egg Decorator (Free) App! 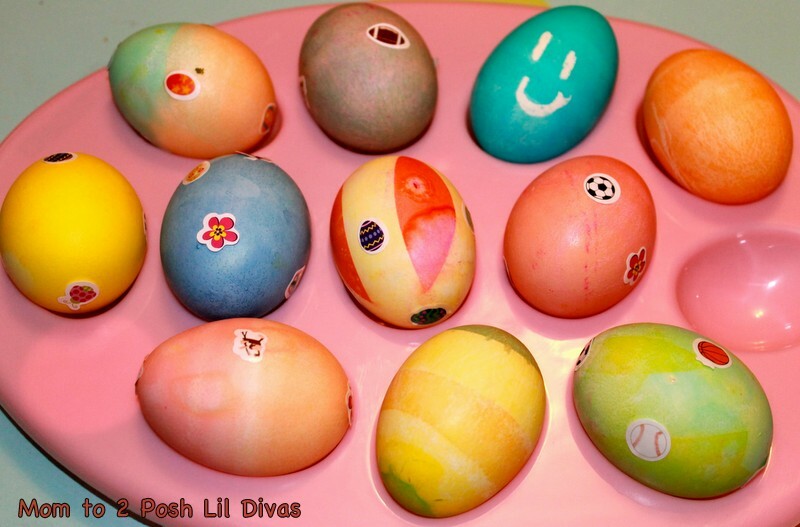 Now the Lil Divas can decorate as many eggs as they like and for every egg they decorate Heinz & PAAS will donate $1 to The Make-A-Wish Foundation. How awesome is that?! Be sure to download the FREE app if you have an ipad. You'll be helping a great cause as you have fun decorating Easter eggs. 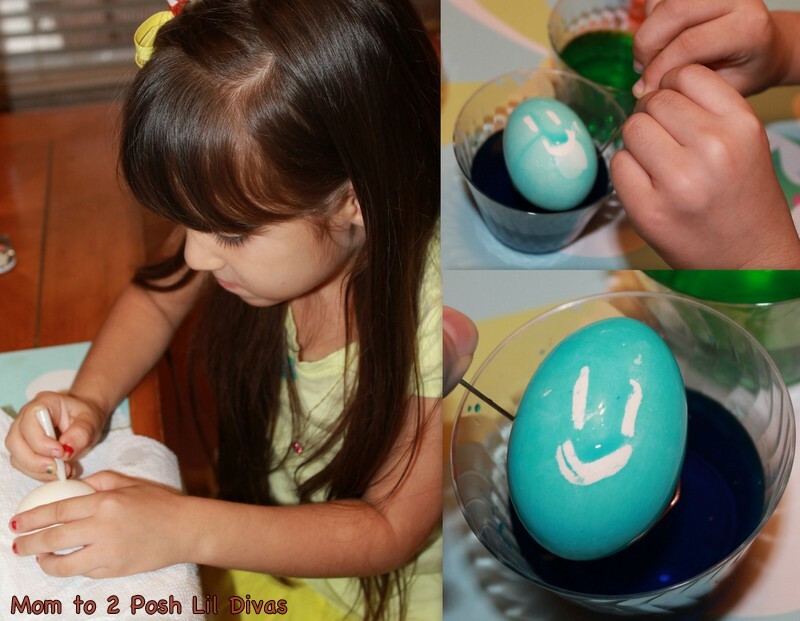 Do you use PAAS kits to decorate your Easter eggs? 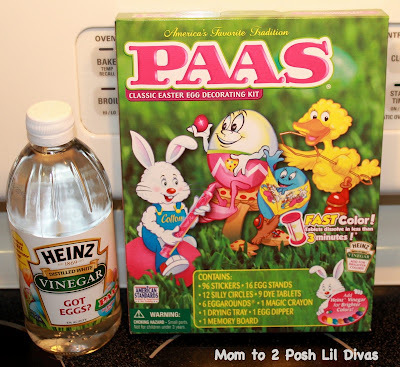 Disclosure: I wrote this post while participating in a blog tour campaign by Mom Central Consulting on behalf of Heinz and PAAS and received a Heinz Vinegar bottle, a PAAS Egg Dyeing Kit, and a promotional item to thank me for taking the time to participate. Bought my kit yesterday, the eggs always turn out so nice! which did you get? There are so many fun kits to choose from no! We always use Paas as well. It is such a fun Easter tradition. I would love to have you share at our Happy Family Times link party at http://craftymomsshare.blogspot.com/2012/04/happy-family-times-2.html. Thank you!! We did Paas as well. My (almost) two year old even helped. He liked putting the stickers on the most. Thanks for linking up to the Weekly Kid's Co-op...and Happy Easter!